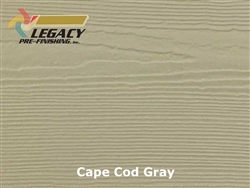 James Hardie Prefinished Fiber Cement Siding by Legacy Pre-Finishing, Inc.
James Hardie fiber cement siding is available in several different styles and textures. HardiePlank® siding is designed for use as a traditional lap (horizontal) siding style while HardiePanel® is designed to be used as a vertical siding which is excellent for a board and batten type installation. HardieShingle® panels are perfect for adding a unique style to a gable area but can be used as an all over siding style. HardieTrim® and HardieSoffit® products complete the look of your home and can be finished in the same color as the siding or prefinished in a complementary color. We take the factory primed James Hardie lap siding boards and factory finish them with a custom stain or solid color to fit your vision for your custom home. The colors shown below are our most popular colors and custom colors are available. 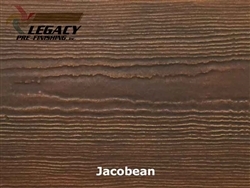 Our stain colors carry a 15-year limited warranty and can only be applied to the cedar textured lap siding. 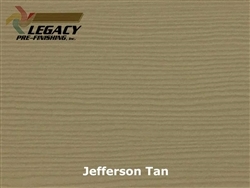 Our custom solid colors have a 25-year limited warranty and can be applied to any texture lap siding. The trim, soffit and fascia boards can be painted to match the lap siding color or you can choose a complementary color - the choice is up to you. All products are custom finished to your color specifications - made to order just for you. 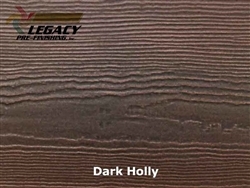 Custom prefinished HardieLap® Siding available in Solid or Stain Colors. Custom prefinished HardiePanel® Siding available in Solid or Stain Colors. 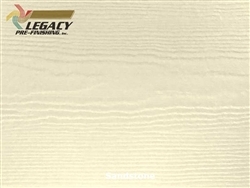 Custom prefinished HardieShingle® Panels available in Solid or Stain Colors. Custom prefinished Hardie Trim Boards available in Solid or Stain Colors. Custom prefinished HardieSoffit® available in Solid or Stain Colors. Available in CedarMill®, Smooth or Beaded Smooth texture - HZ5® or HZ10. All products are prefinished to order. Available in CedarMill, Smooth or Beaded Smooth texture - HZ5® or HZ10. All products are prefinished to order. Available in CedarMill® texture only - HZ5® or HZ10. All products are prefinished to order. Available in CedarMill® texture only HZ5® or HZ10. All products are prefinished to order. 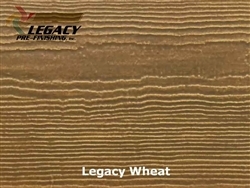 Available in smooth or rustic grain texture - vented or non-vented. All products are prefinished to order.